For the proper anchoring of yarder masts, TEUFELBERGER develops and manufactures high quality guylines made of steel and synthetic fibers. 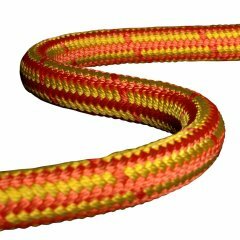 Generally, the rope used as tower yarder guyline is the same (construction and diameter) as that used for the skyline so that the breaking forces can be calculated consistently for the entire system. Our product portfolio includes steel guylines such as EVOLUTION QS 816V and 216WS-3AY that are galvanized for use as guylines. 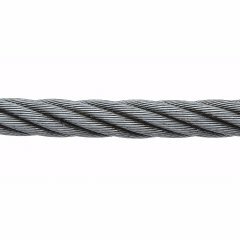 In addition to these steel wire ropes, our portfolio contains STRATOS® Anchor, a fiber rope that weighs 80% less than its steel counterparts. The main advantages of STRATOS® Anchor are that such fiber guylines can be deployed much faster and with far fewer workers. 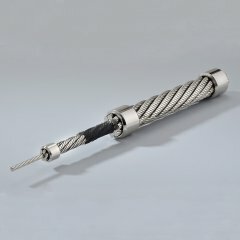 The EVOLUTION QS816 V steel wire rope is our guyline for tower yarders. 216WS-3AY is TEUFELBERGER's versatile guyline for tower yarders and intermediate supports.